Disclaimer: Guest blog posts are the opinions of the authors only and not of the WED Foundation, its employees or its Board of Directors. Publication on the WED Foundation’s blog does not imply endorsement by the WED Foundation. Therapies and results described reflect the experiences of individuals and cannot be generalized to everyone with WED/RLS. It is important to talk to your healthcare provider and investigate concerns such as safety, efficacy and cost before making any changes to your treatment regimen. Stories may be altered for length or clarity. 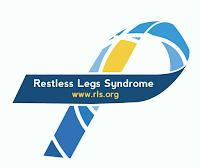 I am a fit, healthy 65 year old woman and I’ve had restless legs for over 20 years, severe for about 10 years. My father and half of my siblings and some cousins also suffer from it to various degrees. I’ll start with some history. I don’t know exactly when my RLS started but in 1983 (age 34) on a trip to Japan I was lucky to be invited to take part in a tea ceremony which required sitting still on the floor on my heels for a long time. My hosts noticed my agony (which I tried to suppress) and allowed me to relax but the tea ceremony, which was an honor that I had looked forward to, was torture for me. In 1989 I had my tonsils taken out. In the recovery room I remember the nurse berating me because I was trying to move around and not lying still. I don’t know if I knew about RLS at that time but I wasn’t taking any medication then. During the operation something went wrong with the anesthesia and I was left with a huge bruise on my hand, which prompted the anesthesiologist to pay me a visit afterwards to explain that he had to do something unplanned in a real hurry. I don’t remember what he told me but in retrospect it might have been a reaction to the anesthetics due to my RLS. Some time in the 1990s I became aware of Restless Legs Foundation, partly through rls.org. For a few years my symptoms were sporadic and stretching my Achilles tendons against the wall for a few minutes was usually enough. I thought my poor sleep was due to caffeine so I tried to eliminate it from my diet. In 1990, while staying in a hotel with friends, I was prompted to take Tylenol PM to get a good night’s sleep. That was a big mistake but because it didn’t work, several hours later I took some more. There wasn’t any sleep that night. About that time I also developed intolerance to any nighttime cold medicine. It affected me in what I imagine being on speed would be like. I found out about the cold medicine the hard way too. Now I just use a nasal spray when I have a cold. After going through menopause around 1997 I became very sensitive to temperature changes and still overheat easily. That usually wakes me up and triggers my RLS symptoms. I had my thyroid removed due to goiter in 2004 and was careful to tell the anesthesiologist that I was extremely sensitive to some anesthetics. I couldn’t be specific because I didn’t understand why or the relationship to RLS at the time but he took me seriously and there was no problem. Previously my father and a sister had had severe reactions to anesthetics during surgery. Gradually my RLS became worse until it was virtually every night, then several times each night. In 2006 my GP prescribed Sinemet, which quickly caused augmentation and diarrhea so I discontinued it on a regular basis. Because it worked fast, I would take a half a tablet if my legs started aching in a movie or concert or during a long car ride. Used this way, a bottle of 30 tablets lasted eight years. During those years I just resigned myself to getting up at night every two hours or more often, stretching and doing yoga, listening to the radio and sometimes crying out of frustration. I was very sleep deprived and had big circles and bags under my eyes for almost the entire time. In March 2014, I moved to a new city, and my new doctor prescribed Ropinerol which seemed like a miracle for the first few months. I graduated to taking .62mg (two and a half .25mg tablets) a few hours before bed. It didn’t last all night and, wary of augmentation, I went back to two .25mg tablets. I’m pretty sure I’m augmenting and am keeping a diary. There seems to be no rhyme or reason for how bad my symptoms will be. About the time I started taking Ropinerol, I began to sleep well and realized my insomnia had taken on a life of its own. I was lucky to read a newspaper article about a promising book called The Sleep Book, written by Guy Meadows, a sleep psychologist in the UK. He says in the book if you have a physical problem such as RLS it needs to be sorted out first before trying his techniques. The book helped me get rid of all my disruptive insomnia-coping behaviors. I recommend reading it. I walk for at least an hour most days, weather permitting. I also go backpacking occasionally. Someone will inevitably say something like “we’ll sleep well tonight!” but I think “probably not”. My worst night was a total of two very broken hours after an 18k easy but uphill hike. The silver lining was that I heard kiwis calling and saw a brilliant array of stars including the Milky Way. I would have preferred to be asleep but most New Zealanders have never heard a kiwi in the wild and I have several times. I try not to let the RLS kick in before bedtime by not sitting for long periods and keeping busy. I try to focus on what I’m doing instead of on the pain, work on a project or task and keep busy. If I sit in front of my computer too long in the evening it is simply asking for trouble. Even five minutes too long can mean an hour or two of trying to calm my legs down. I have painful symptoms many evenings before bed and get up at least twice for a half to one hour, and usually have pain upon waking in the night.However, after reading what others go through, I choose “moderate” for my level of WED/RLS discomfort on surveys. Right now I can sleep for three to four hours (when I’m lucky), then I get up and work on a jigsaw puzzle, sudoku, read or do chores for about an hour. I can usually get back to sleep for another two or three hours. I know it is better to get up as soon as I wake up with painful symptoms but even with pain it is sometimes hard to get out of bed—and then it gets worse and takes longer to sort out. If I have to get up a second time due to leg pain, I stretch and do yoga or read until I think it’s safe to get back in bed. About three months ago my GP prescribed Tramadol to be used in movies or car rides. It didn’t work at all in those situations but I take it in the middle of the night in conjunction with Ropinerol - which I’ve reduced to 1.5 .25mg tablets to avoid augmentation. I’ll have to try to find something else for movies and long car rides. WED/RLS is a moving target so what helps for a day or month won’t necessarily keep working. I often think of Scarlett O’Hara in Gone With the Wind who said: “After all ... tomorrow is another day!” because no matter how bad my night has been, it is a mini miracle almost every morning when I get up, get moving and face the day with no symptoms (except tiredness). I’m grateful to the WED Foundation and the discussion board moderators. Truly, we are not alone.